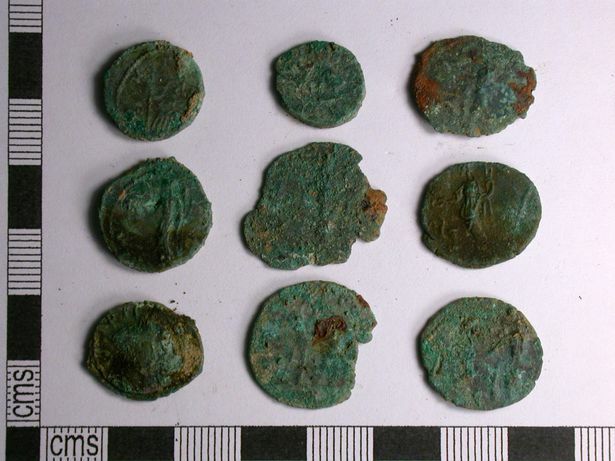 The pair had been detecting a ploughed field with metal detectors when they discovered the hoard of nearly 2000 roman coins mixed up with the remains of a pure tin container, with a handle and lead stopper, which it is believed had once contained the coins. 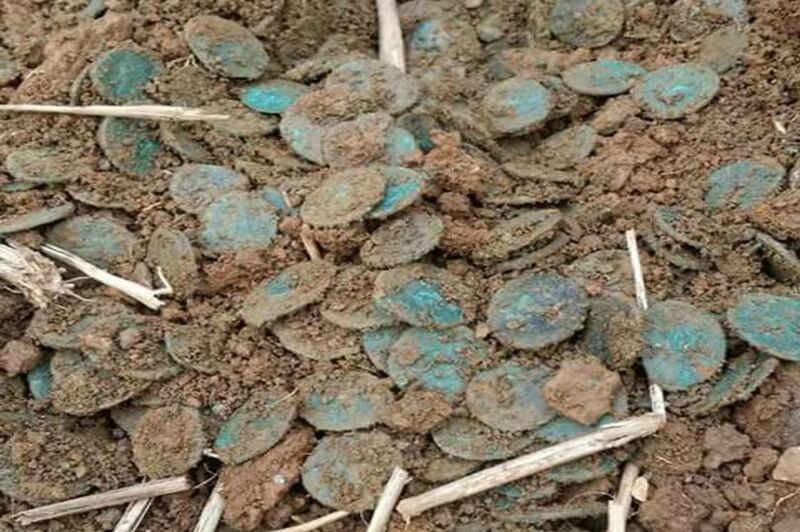 1,965 coins were found inside a stone-lined pit. They date from 253AD to 274AD. The hoard was discovered by Kyle Neil, 18, from Scorrier, and Darren Troon, 45, from Redruth. They are members of the Kernow Search and Recovery metal detecting club. The coins were taken away for inspection by Royal Cornwall Museum and the British Museum after their discovery. Details of the find were revealed at a Cornwall Coroner’s Court where coroner Emma Carlyon officially recorded that the hoard was classed as treasure. The recovered coins are known as radiates. They are all made of bronze with one per cent silver. They were a common currency in the late Roman period. In about 260AD, Briton was part of a breakaway Gallic empire. The court heard from a report by an expert at the British Museum who was able to identify the following Roman emperors on the coins. Of the rest, 78 coins were of uncertain Gallic origin, there were 54 where the emperor could be seen but not identified and 645 coins which were too badly corroded to be made out. Perhaps of most interest is the remains of the tin vessel, although little of it has survived. Anna Tyacke, the liaison officer for the Portable Antiquities Scheme in Cornwall, said that it is a rare type of container for coin hoards, which are more often found in pottery. Metal Detectors – Most Magnificent Treasures Found. ← Midlands / Staffs Detectorists – Please can you help?